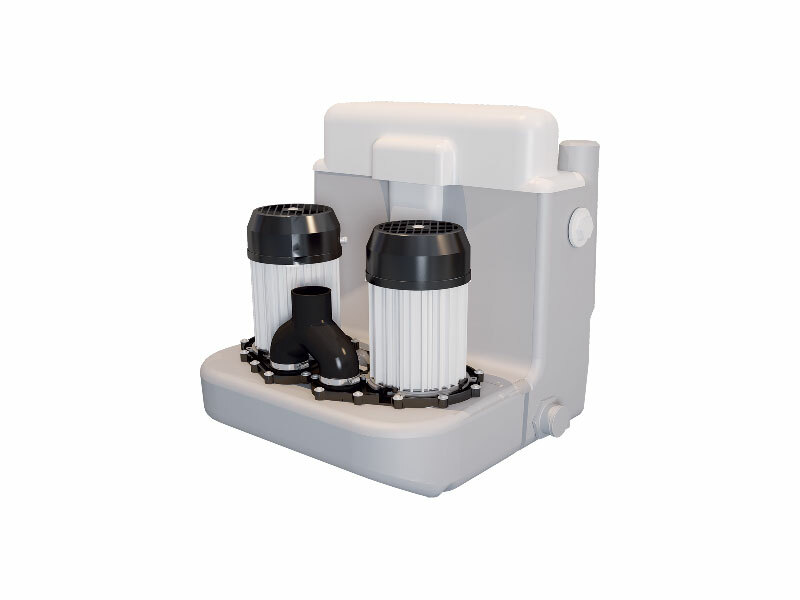 The Sanicom 2 is a heavy duty waste water pump for use in intensive commercial environments. Examples of common applications include use with dishwashers and washing machines in hotels, cafés, laundries, nursing homes, guest houses, pubs, shops, and restaurants. The Sanicom 2 is identical in most ways to the Sanicom 1, but the key difference is it features two powerful motors instead of one. The second motor provides a failsafe back-up to ensure you always have service from the commercial appliances for which Sanicom 1 and Sanicom 2 are suitable. These include dishwashers and washing machines in hotels, cafés, laundries, nursing homes, guest houses, pubs, shops, and restaurants. 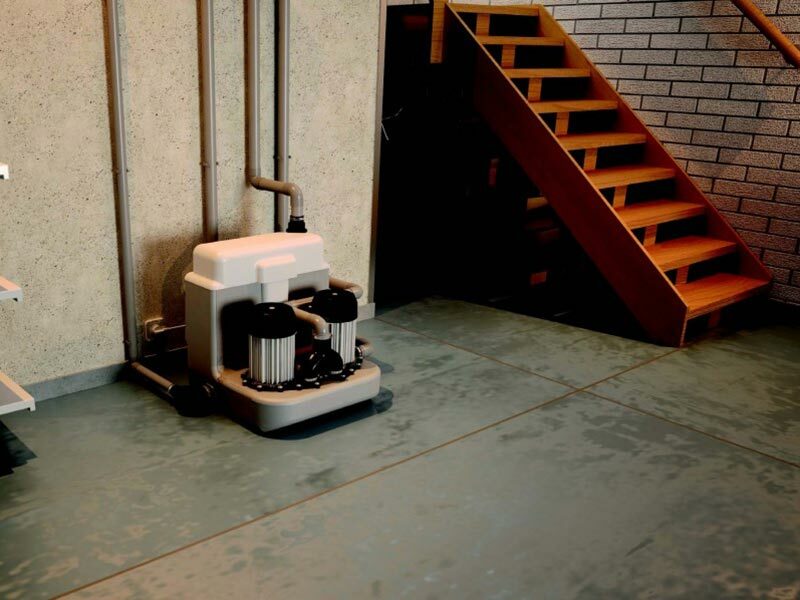 Like the Sanicom 1, Sanicom 2 can handle water temperatures of up to 90° and can pump waste through heights of up to eight metres, and horizontal distances up to 80 metres. Please note it is not compatible with Sanialarm. The Sanicom 2 along with all of our Saniflo Systems and Kinedo Shower and Bath Solutions can be bought online with the reassurance of dealing with Ireland’s official Saniflo and Kinedo agent.